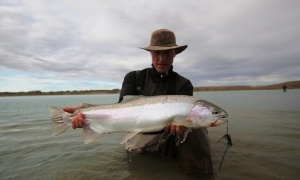 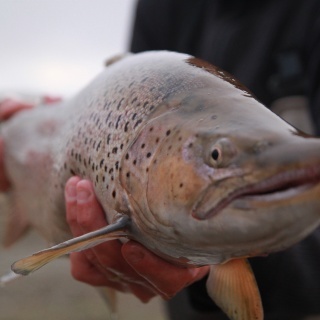 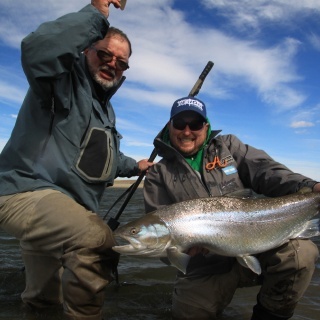 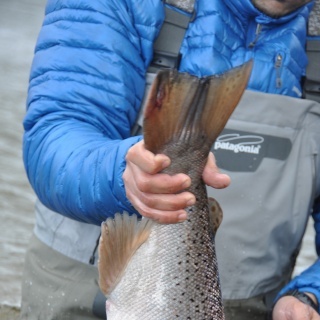 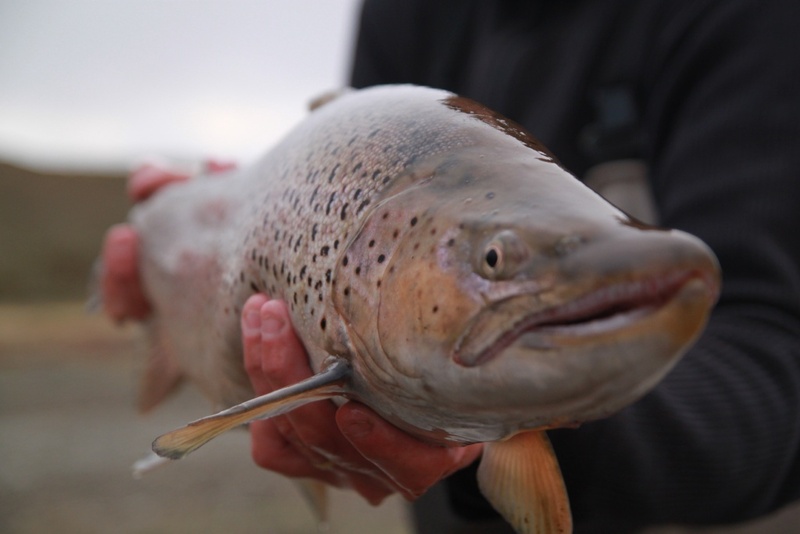 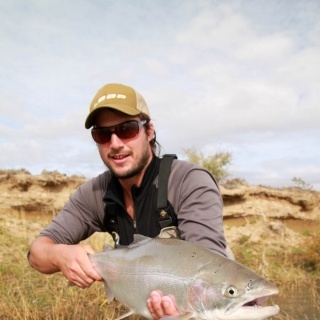 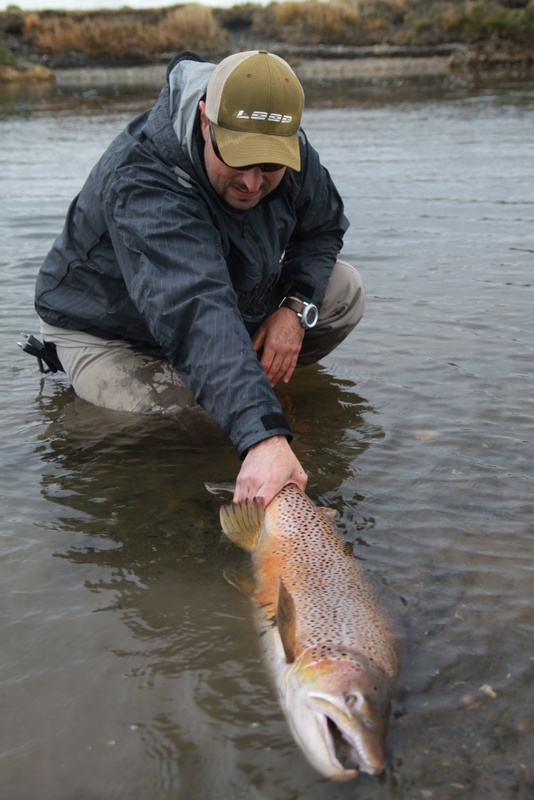 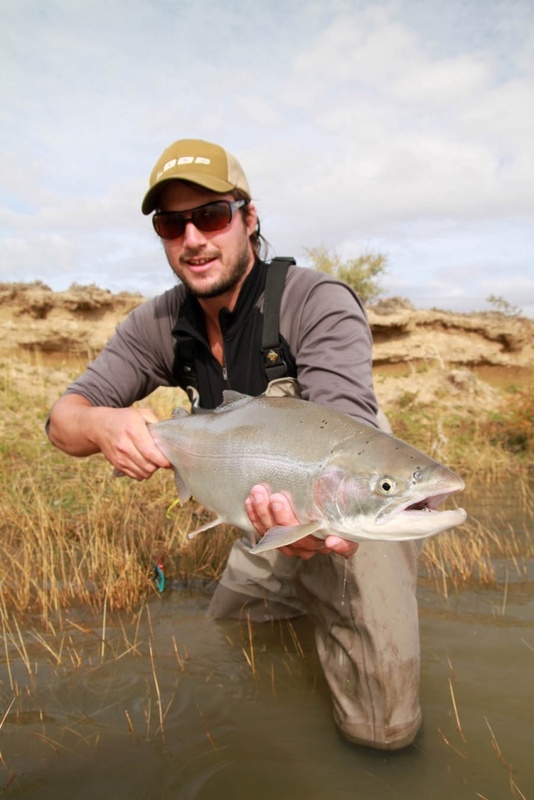 (ENG) Tres Amigos is an Argentine Outfitter, specialized in the best fly fishing destination in the south of Patagonia. 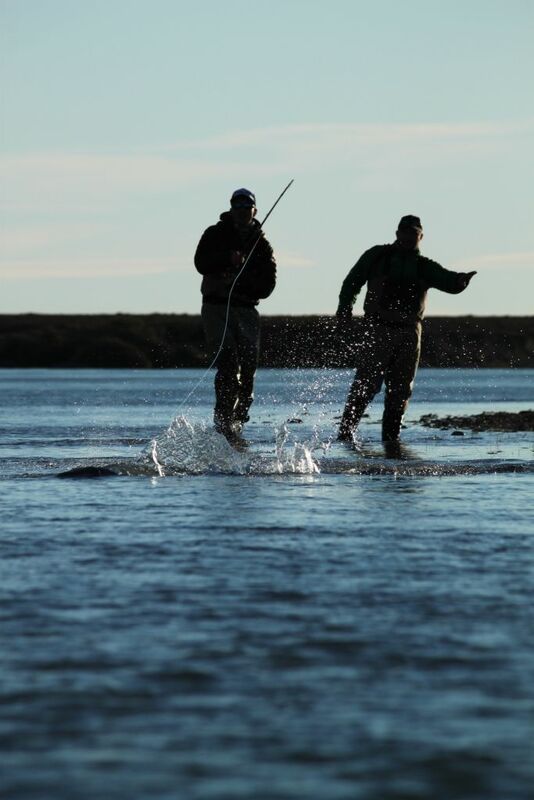 Quality, service, and profesionailism define our 15 years in the business. 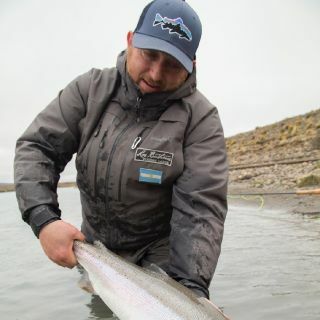 (ESP) Tres Amigos es un Outfitter especializado en los mejores destinos para la pesca con mosca en el sur de la Patagonia. 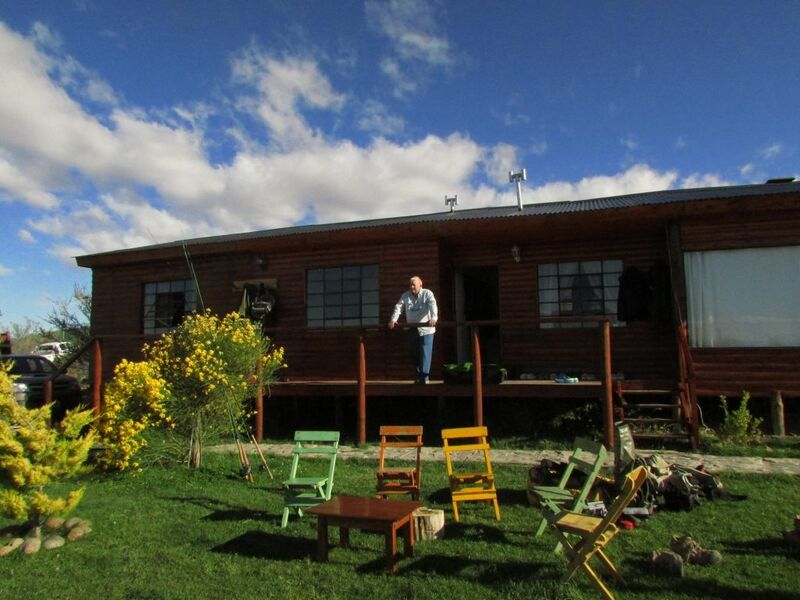 Calidad, servicio y profesionalismo definen nuestros 15 años de trayectoria. 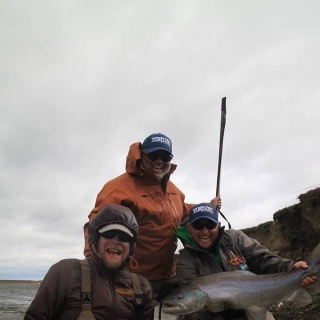 Tres Amigos are the best! 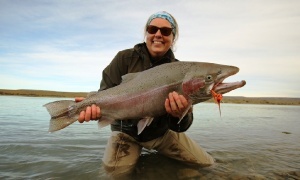 Super friendly, knowledgeable, funny, and passionate. 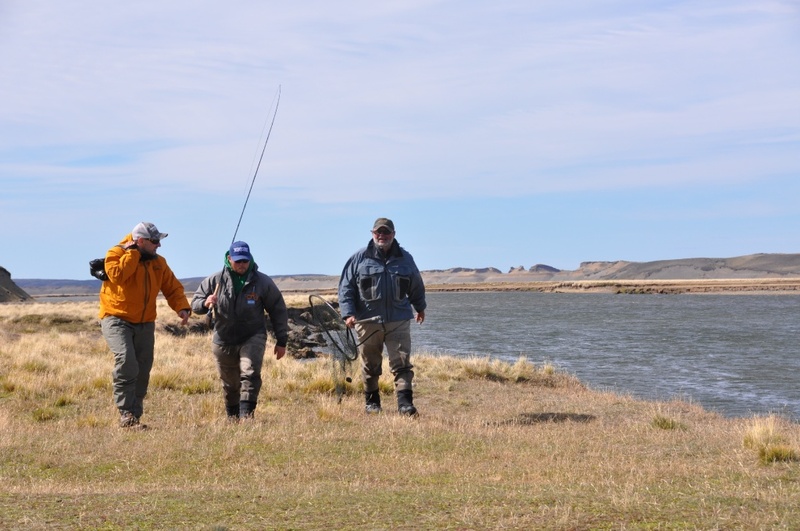 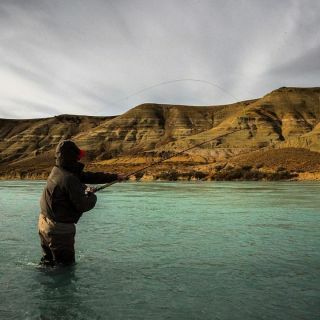 These guys truly love fly fishing and sharing their experience with others. 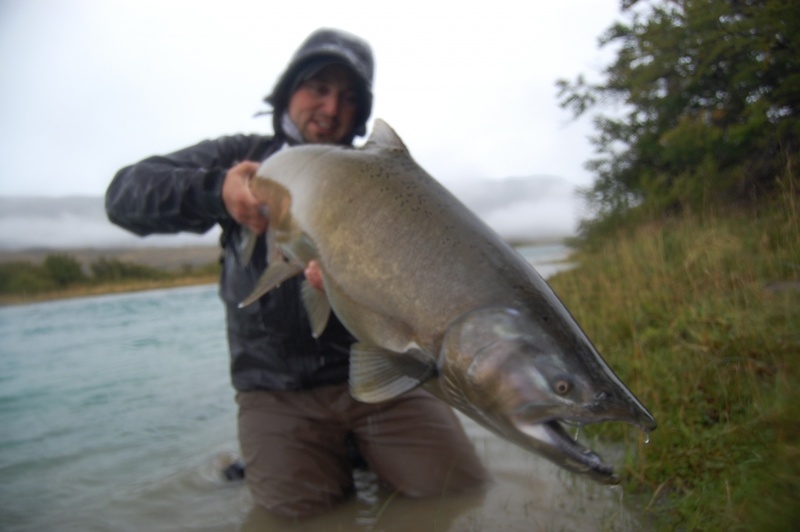 I've done numerous trips with them, and can't rate them highly enough - they deserve 10 out of 5 stars! 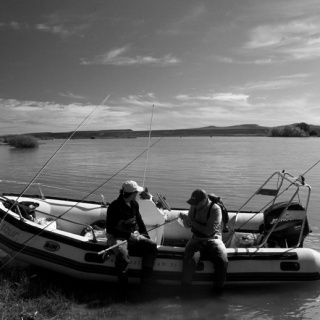 Tres Amigos rock - you won't be disappointed! 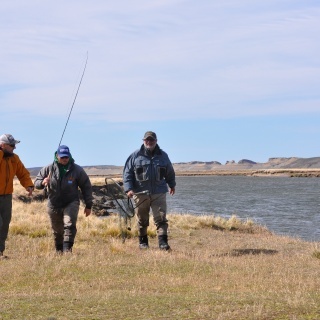 The guys from Tres Amigos make the difference. 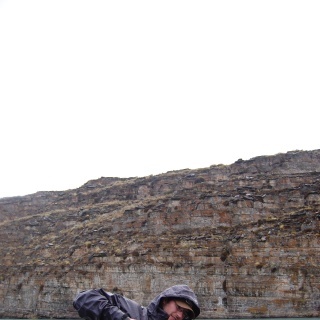 They are the most friendliest people you can imagine. 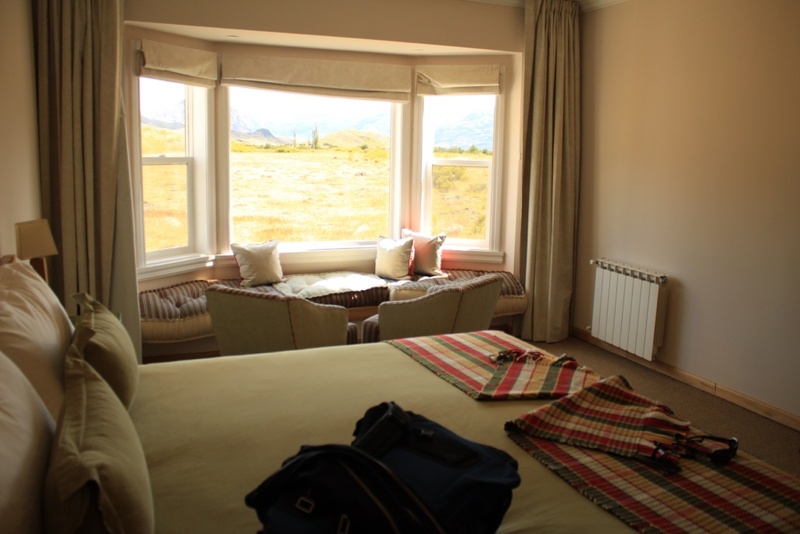 They try to make your stay an unforgettable experience. 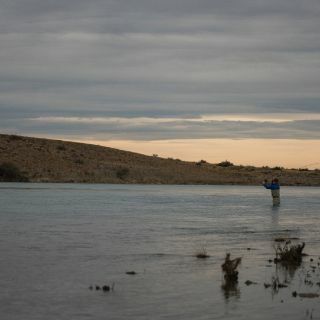 You enjoy every minute and they are besides unforgettable minutes at the water the reason to come back. 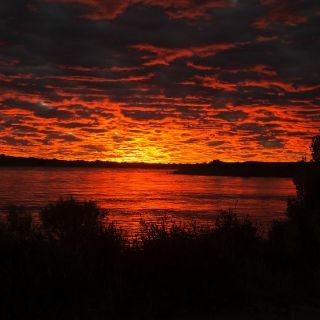 Greetings from Germany to my friends Claudio, Juan Manuel and Pollo. 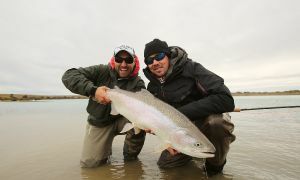 Thanks my friend! 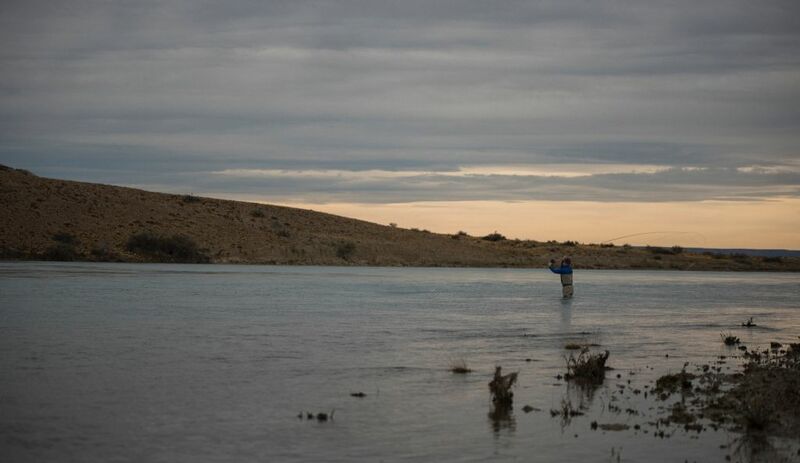 Your words mean a lot to Us and its fuel to keep working hard on our beloved Santa Cruz river! 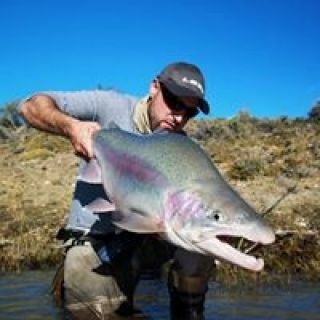 thanks for taking the time! 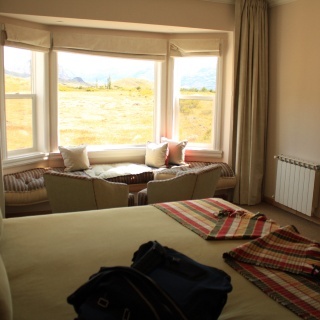 I first met Claudio and Juan Manuel at Las Buitreras Lodge in 2008 and have been back each year since. 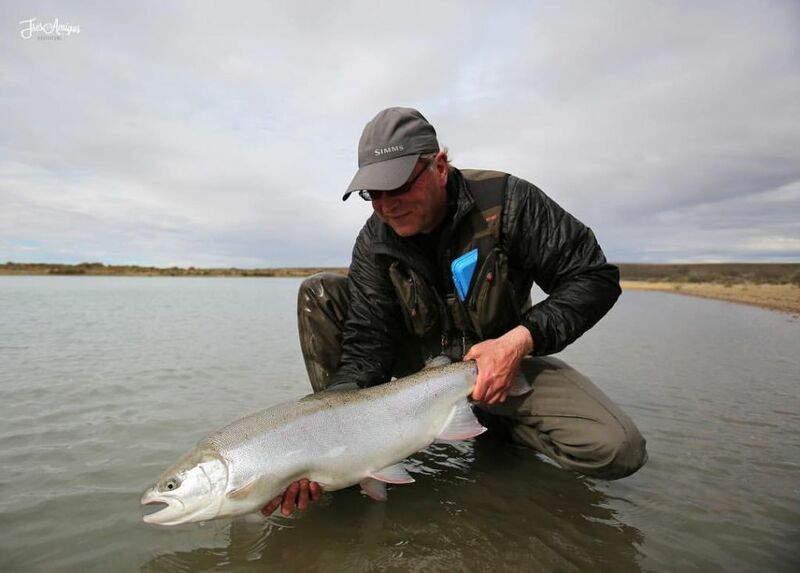 As fishermen and guides they are second to none - knowledgeable, sympathetic, offering advice freely and teaching well so that novices can improve and catch fish; they take as much pleasure from their clients catching fish as they would catching them themselves. 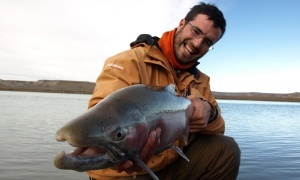 In addition, they are fine human beings, friendly with great sense of humour. 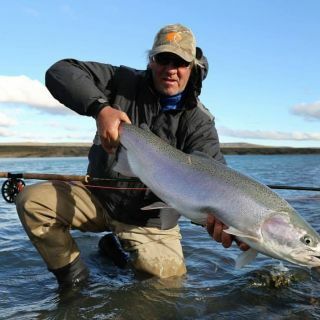 They speak excellent English and are so attentive to detail that their operations run like clockwork. 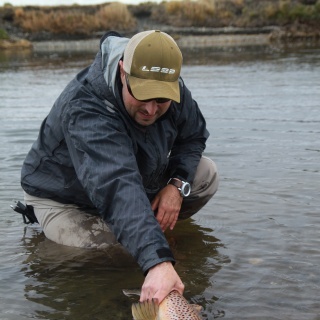 I did part of the Spring Creeks route last year with Juan Manuel and loved it so much that I'm going back for more. 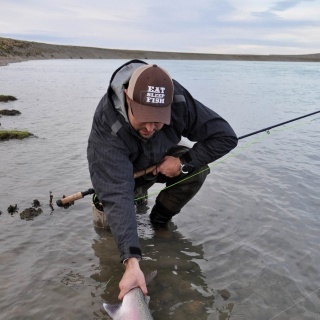 Try them, you will not regret it! 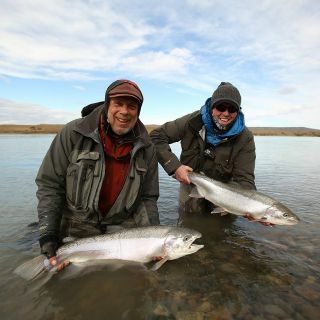 I have known, fished with and enjoyed the company of these guys over many years. Everything they attempt they do really well and without doubt they are some of the best guides not only in South America but also in the world. I would recommend their latest venture to anyone who wants the best and I am sure they are creating an excellent and successful company. 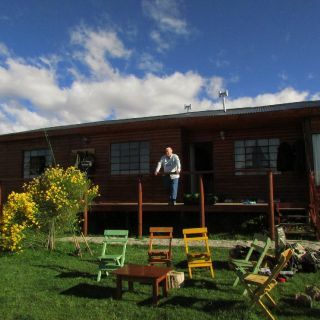 I have visited Rio Gallegos some eight times over the last ten years or so and stayed in the home from home Las Buitreras Lodge. 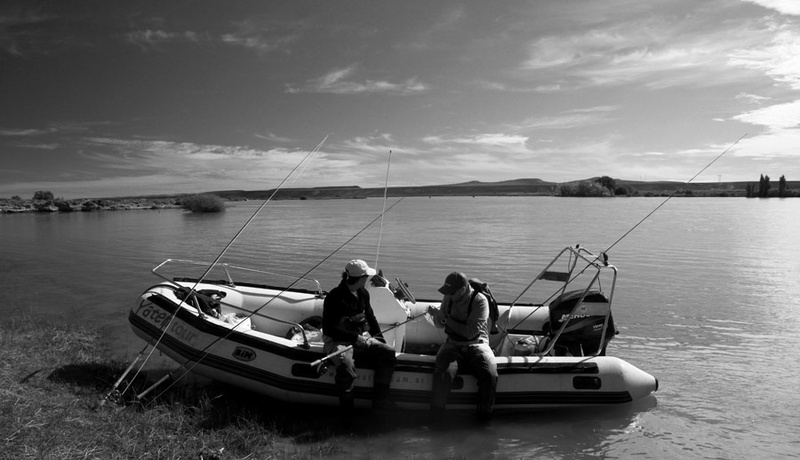 It was there that I first met Claudio and Juan Manuel who were superb and knowledgeable guides that also turned into very good friends. 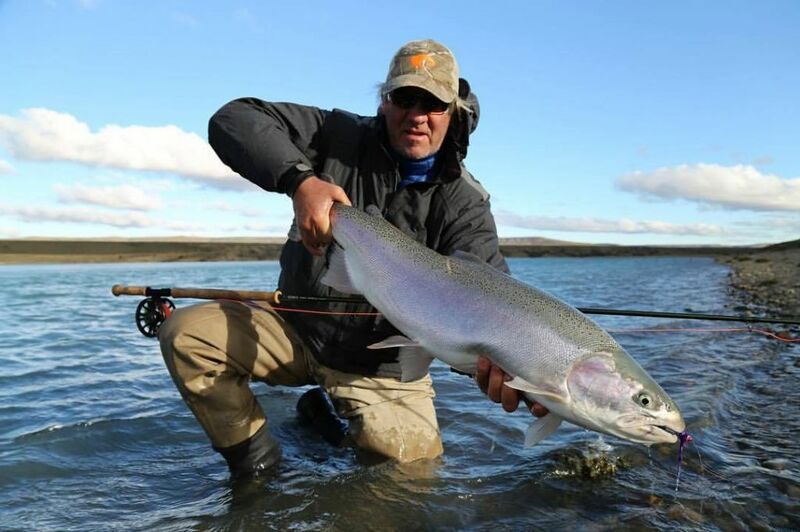 When things got tough they would know exactly what to do for the best, not only are they excellent world class guides, but also superb fly casters and fishermen. 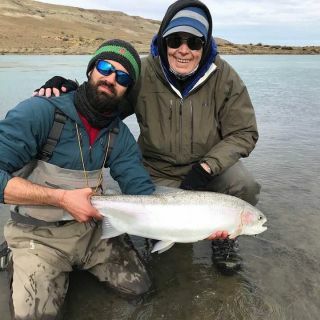 Anyone who is thinking of taking a trip of a lifetime to Argentina with Claudio and Juan Manuel, I can assure you that you will not be disappointed! 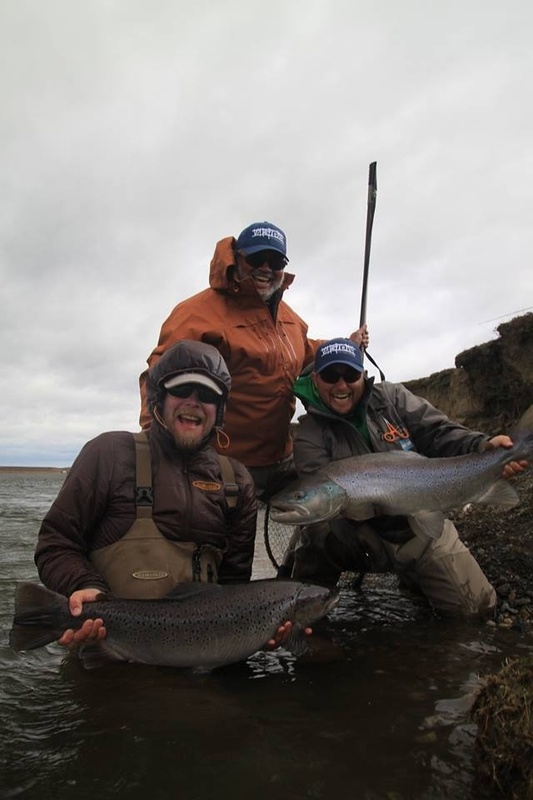 The guys running Tres Amigos are some of the best guides on the planet. 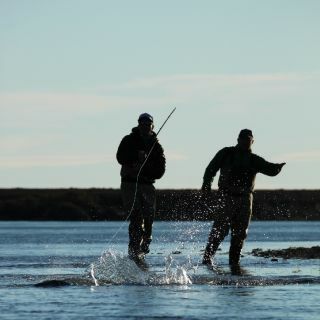 I have worked and fished with them and you can't find better casters and fish finders anywhere. 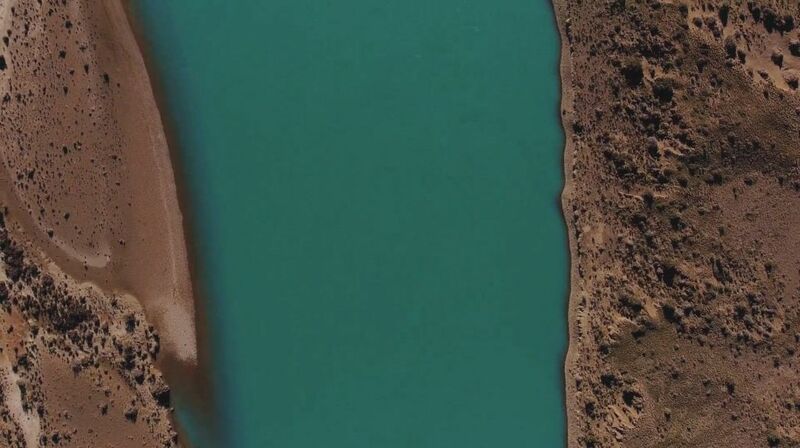 Truly superior! 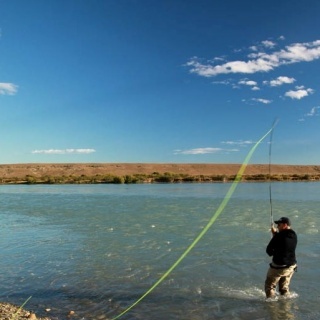 (ENG) The Santa Cruz river is the 2nd biggest river of Argentina and flows towards the Atlantic Ocean for approximately 240 miles. 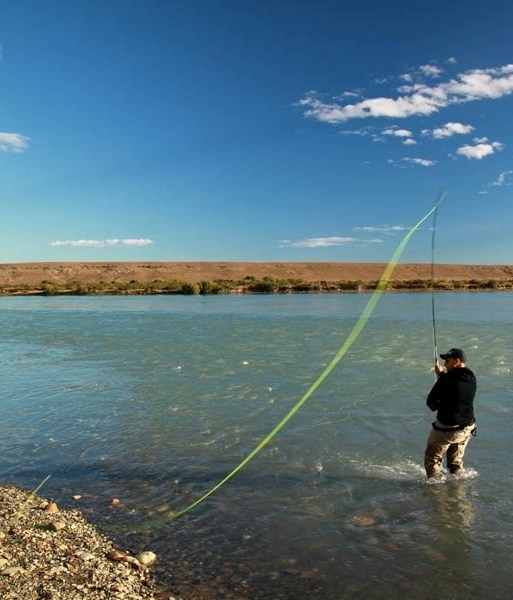 This mighty river is home to the only Steelhead runs on the whole Atlantic coast. 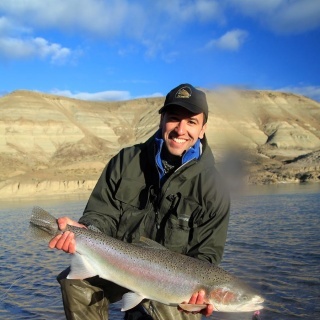 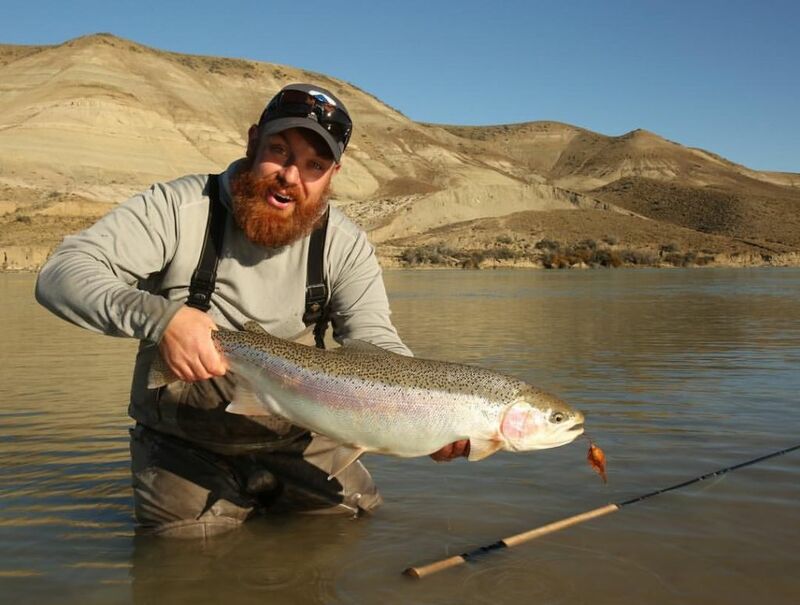 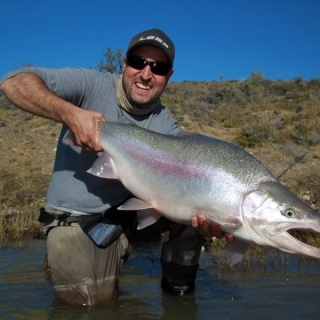 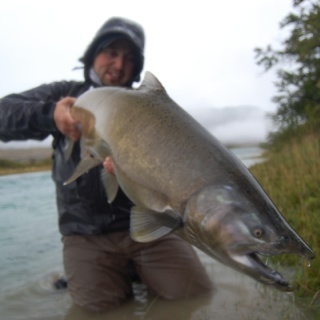 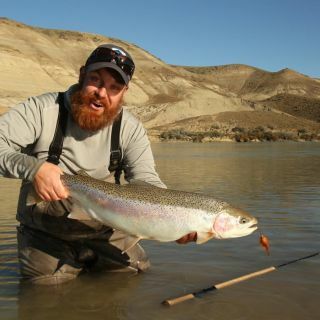 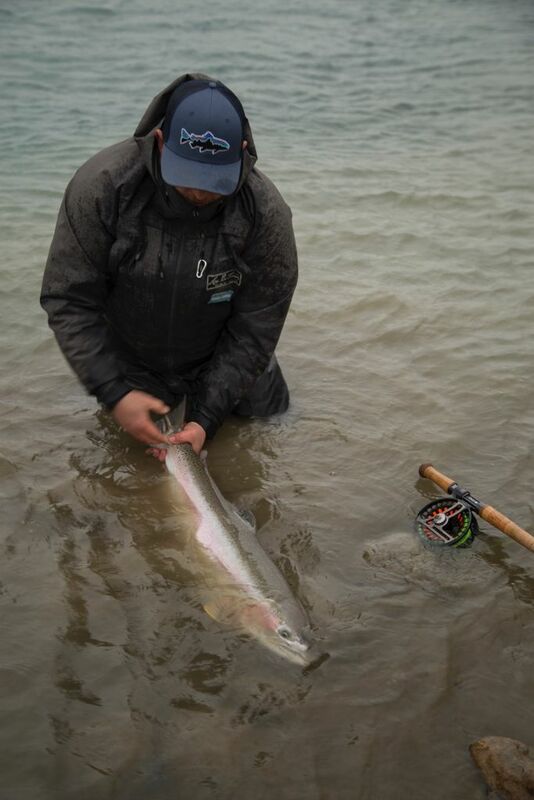 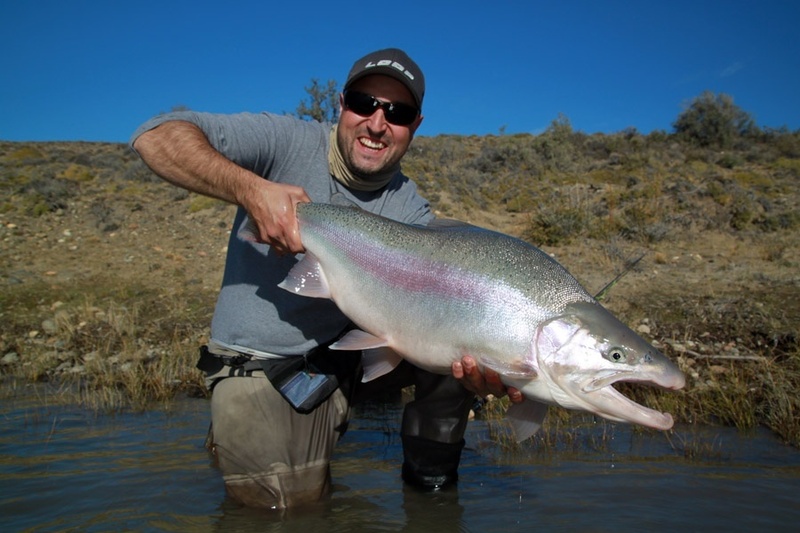 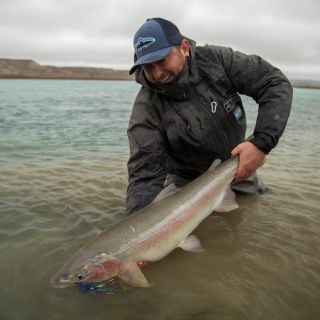 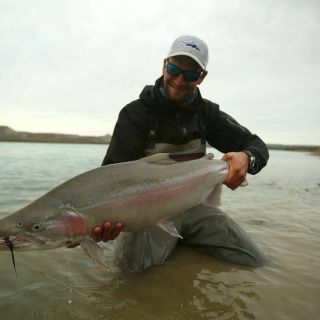 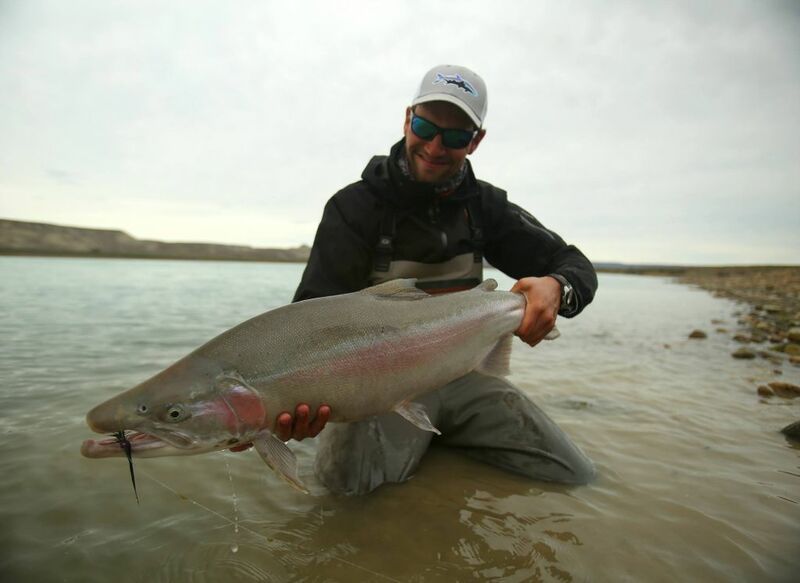 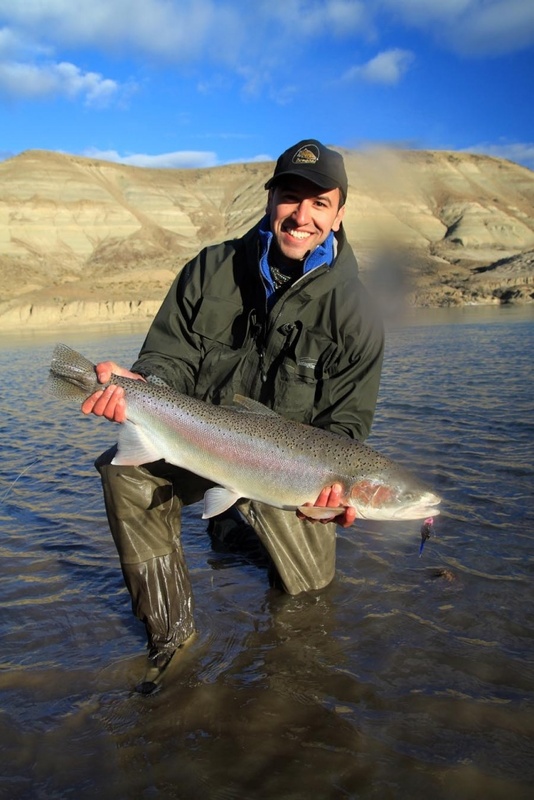 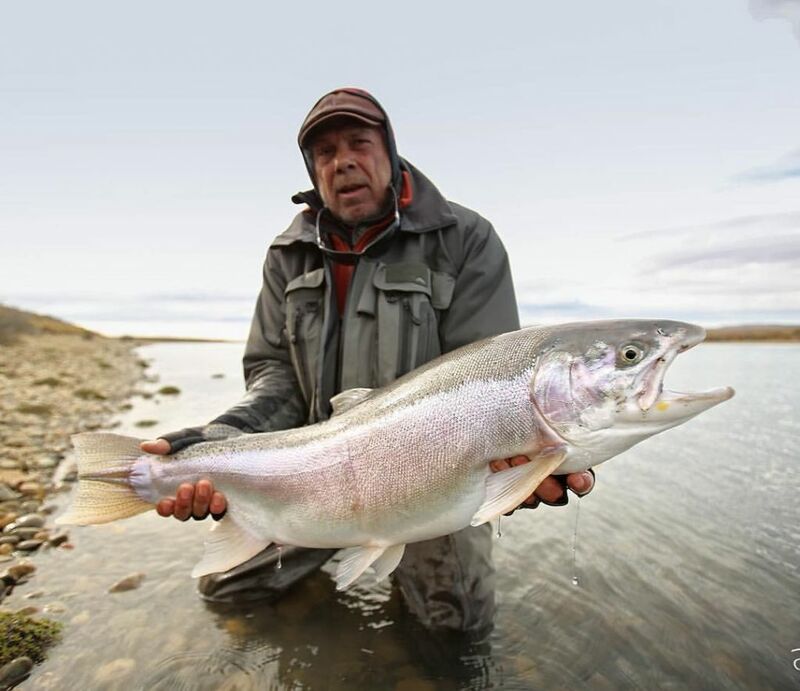 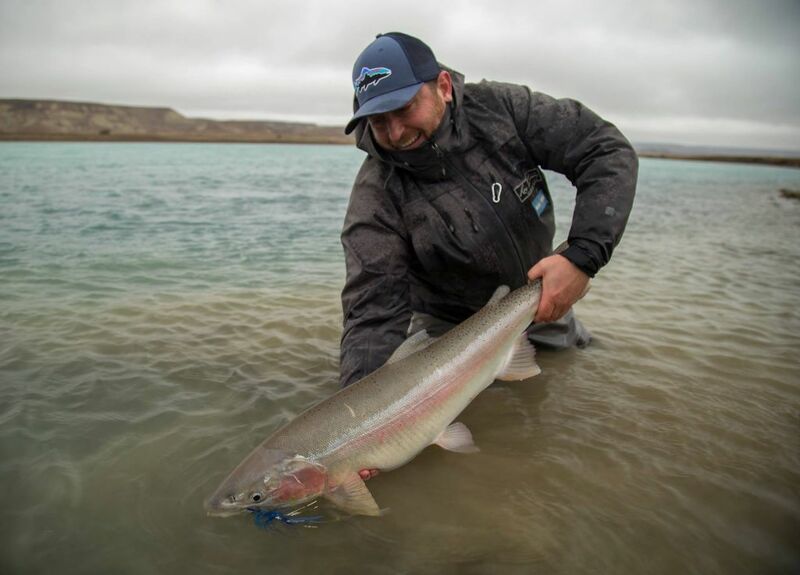 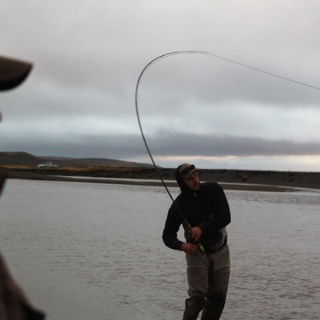 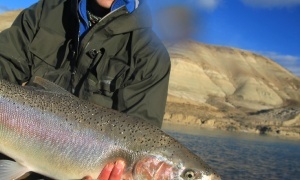 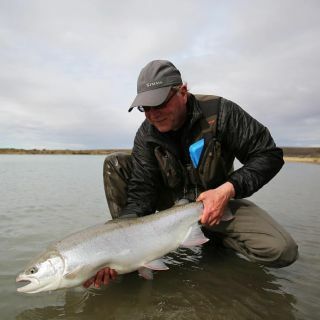 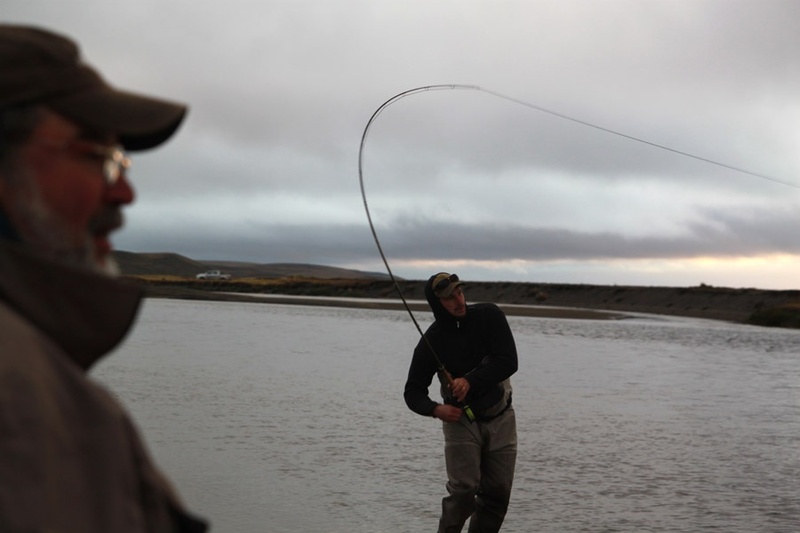 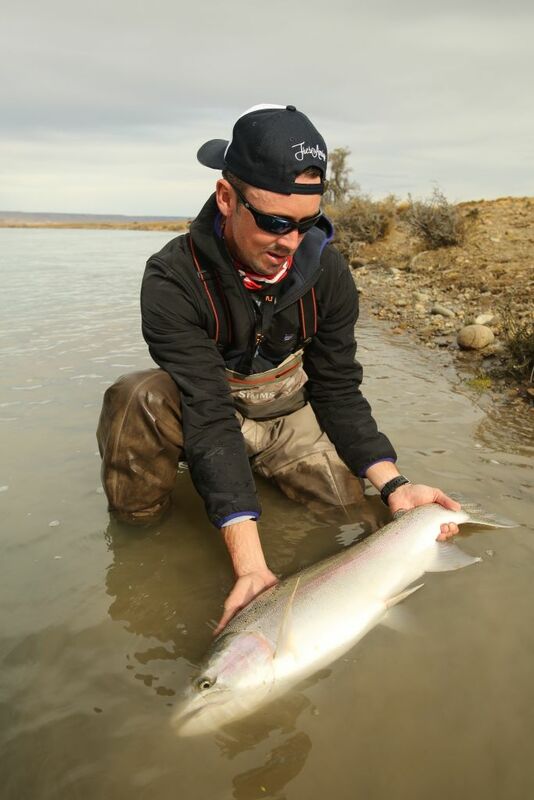 From late February to May chrome bright steelhead enter the river in huge numbers. 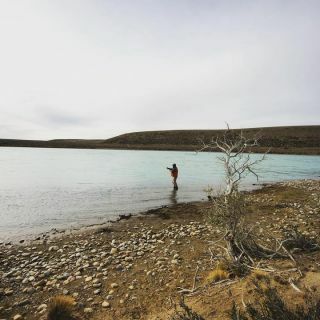 (ESP) El río Santa Cruz es el 2do mas grande de Argentina y fluye hacia el océano Atlántico a lo largo de aprox 350 km. 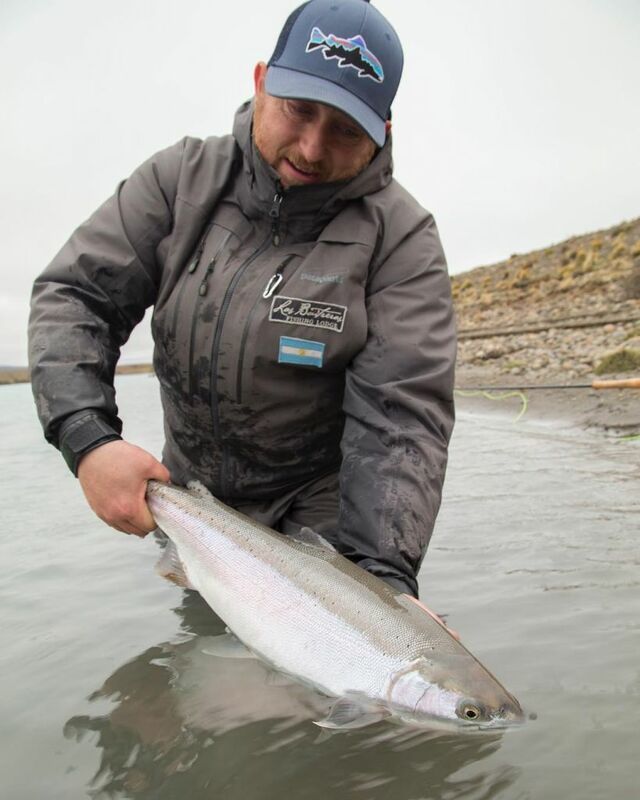 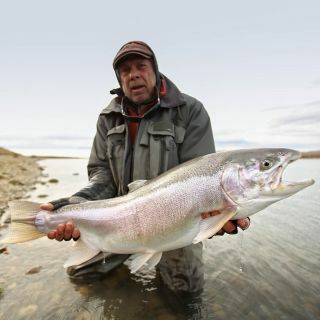 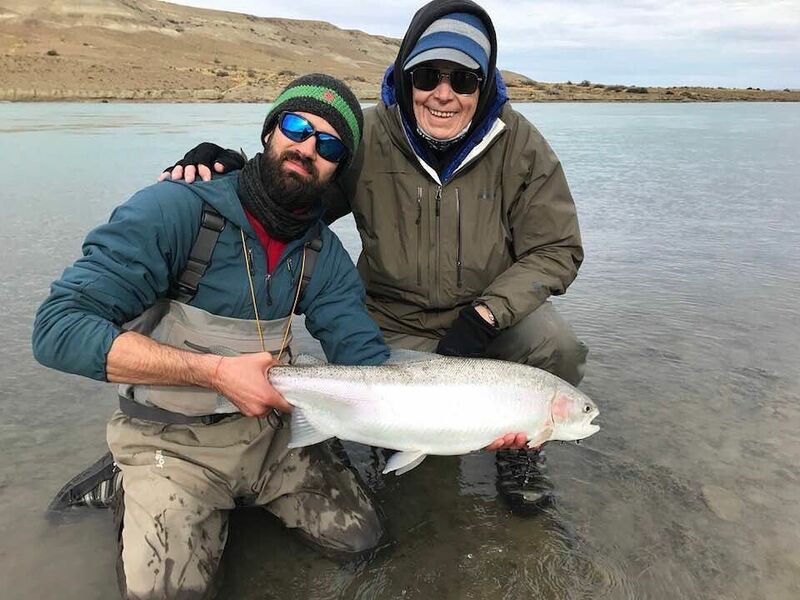 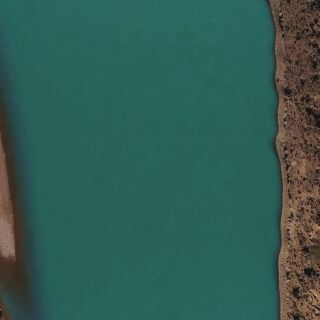 Este asombroso río es hogar del único run de Steelhead del Atlántico. 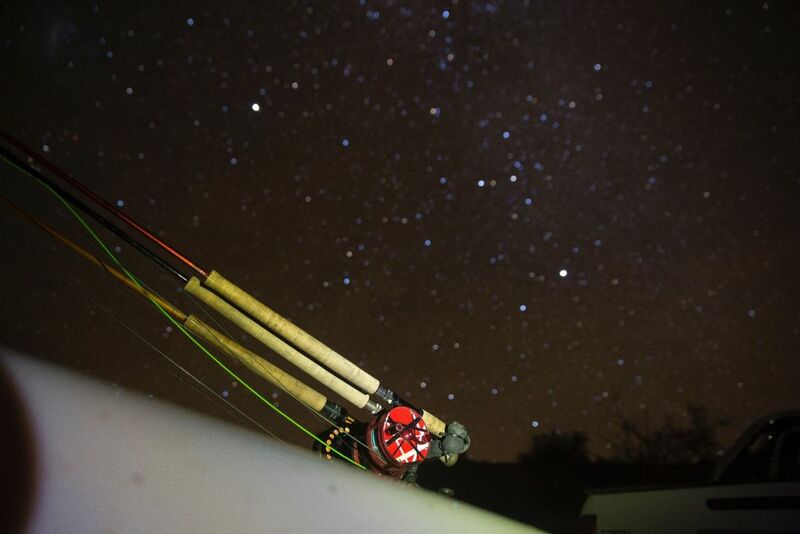 Desde fines de Febrero a Mayo Stellhead cromadas entran al río en grandes números. 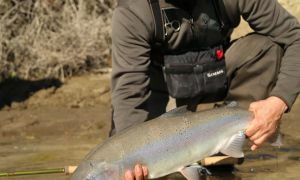 Tres Amigos has arranged a unique program to fish with free lance guides at a unique price. 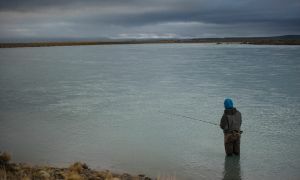 The program includes 6 fishing days in prime water. 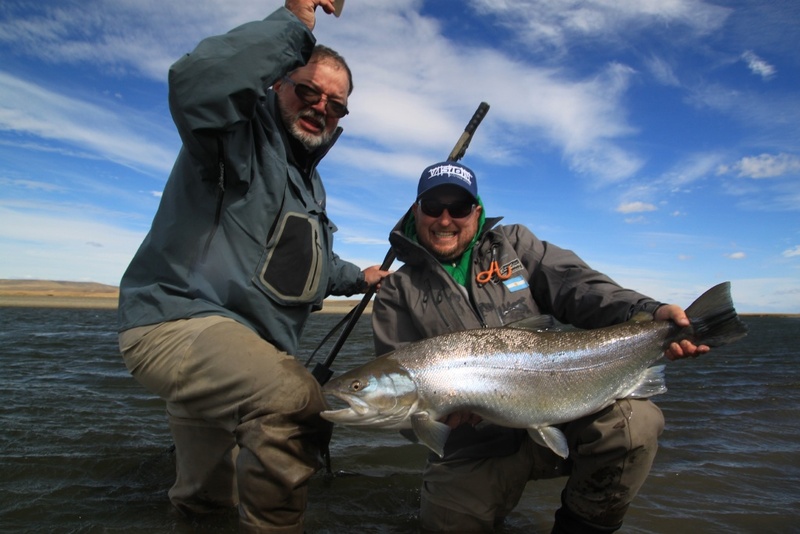 The program is available for only 4 anglers per week. 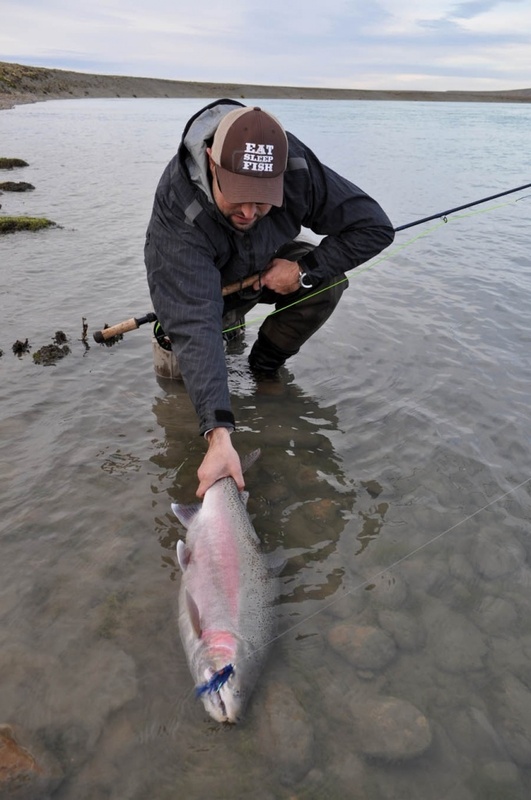 Parallel to November’s Sea Trout run, there’s a Chinook Salmon run. 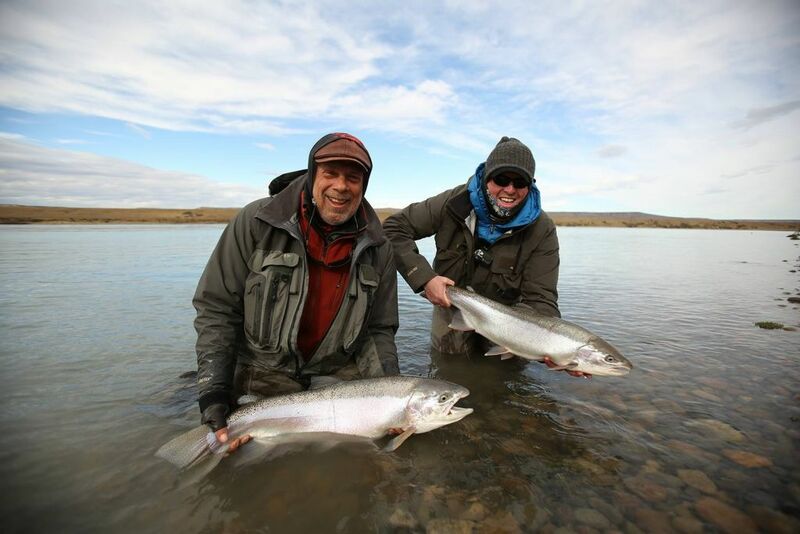 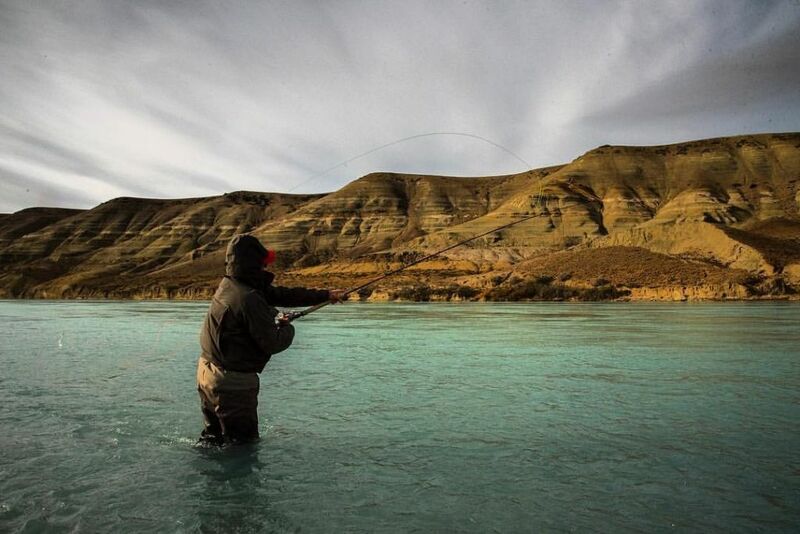 The early season offers a unique combination of two of the most amazing fish in the planet. 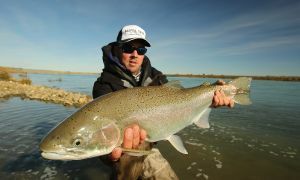 January-April is prime time for sea run browns and having the river in top shape allows you to do what you like most, fishing 5’’ sun ray shadows at full speed with floating line or even skating dries. 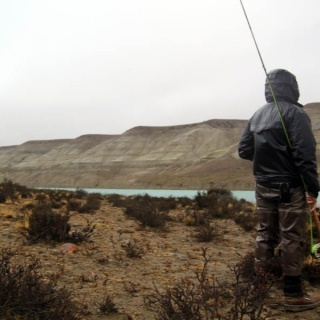 (ENG) Fishermen find in this destination the perfect combination of big Kings, solitude and high quality service. 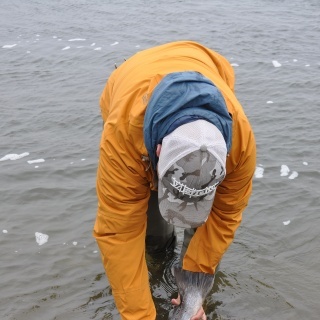 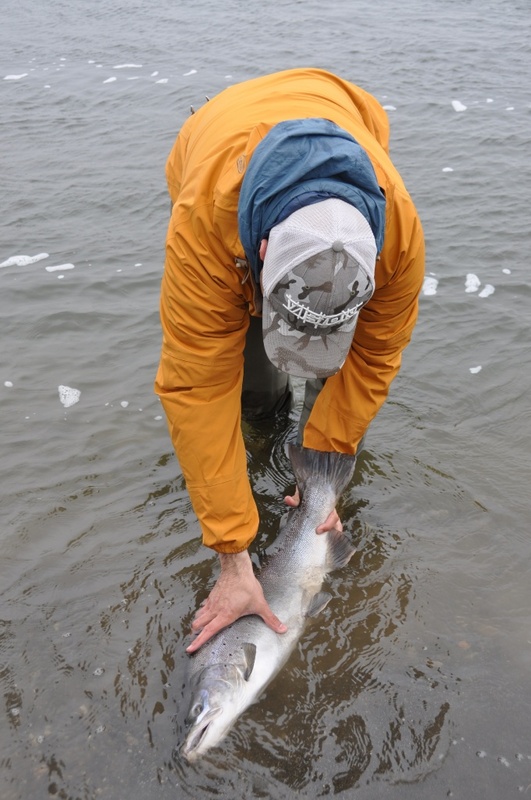 Every year Chinook Salmon go upriver from the Atlantic Ocean in search of spawning ground. 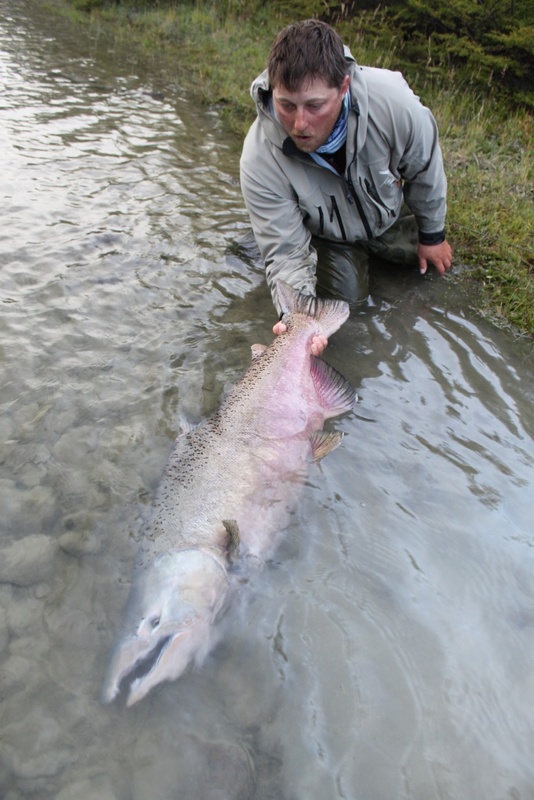 The river has an stable colony of King Salmon that amazes by its number. 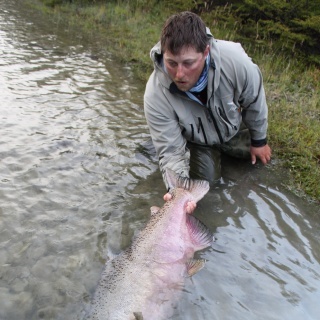 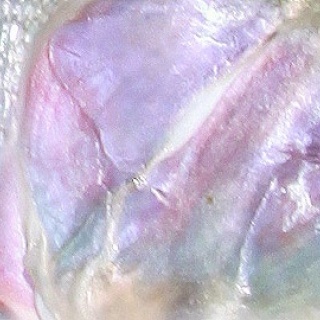 The weight of these fish go up to 50pds and bigger. 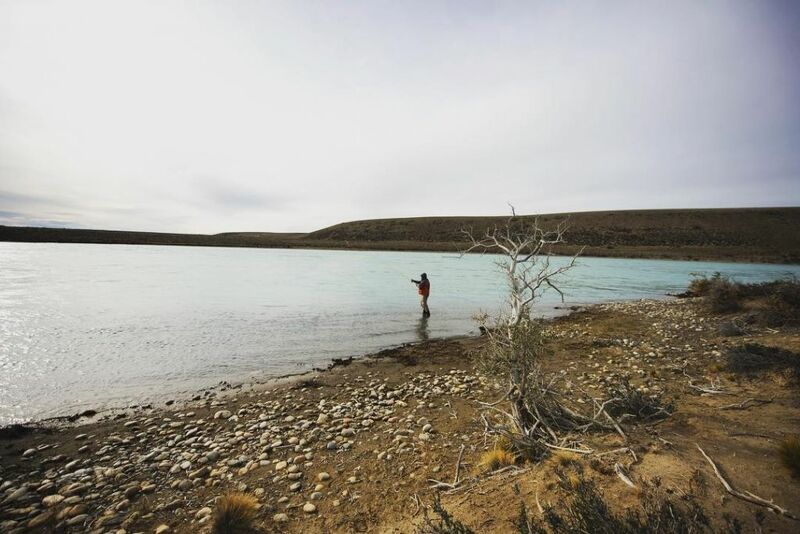 (ESP) Los pescadores encuentran en este destino la combinación perfecta de Grandes Kings, soledad, y servicio de altísima calidad. 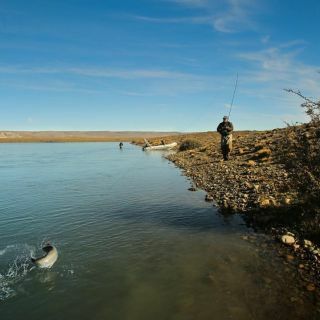 Cada año los salmones Chinook ingresan desde el Océano Atlántico en busca de áreas para desovar. 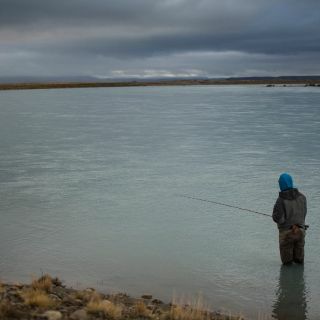 El río posee una colonia estable de Kings que maravilla por su número. 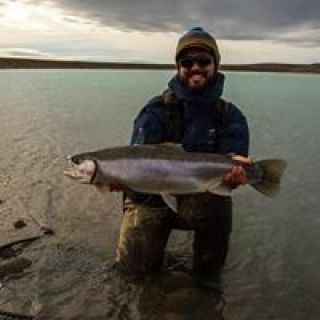 El peso de estos peces alcanza los 25Kg y mas. 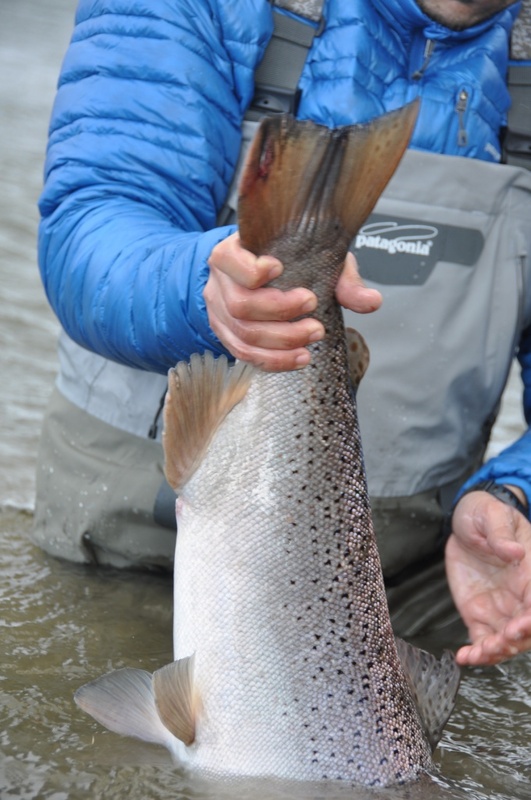 (ENG) A Must for trout lovers. 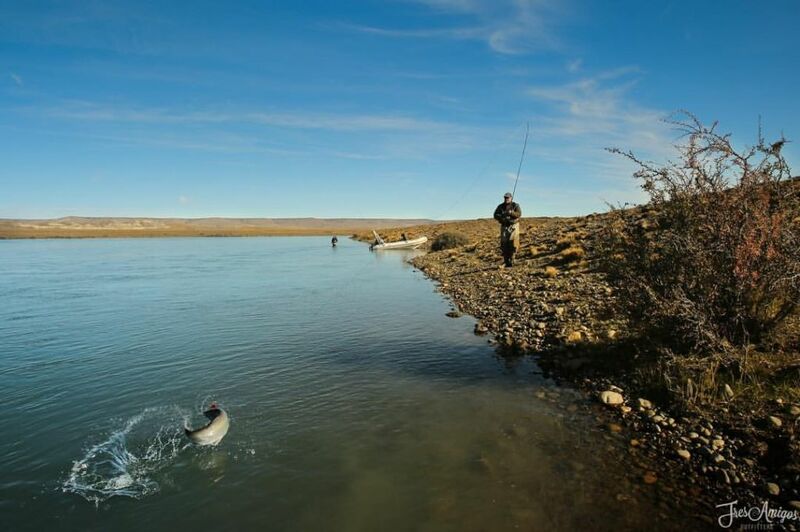 The Route tours along 4 different Estancias and trough the best small rivers and creeks in search for huge brooks and browns. 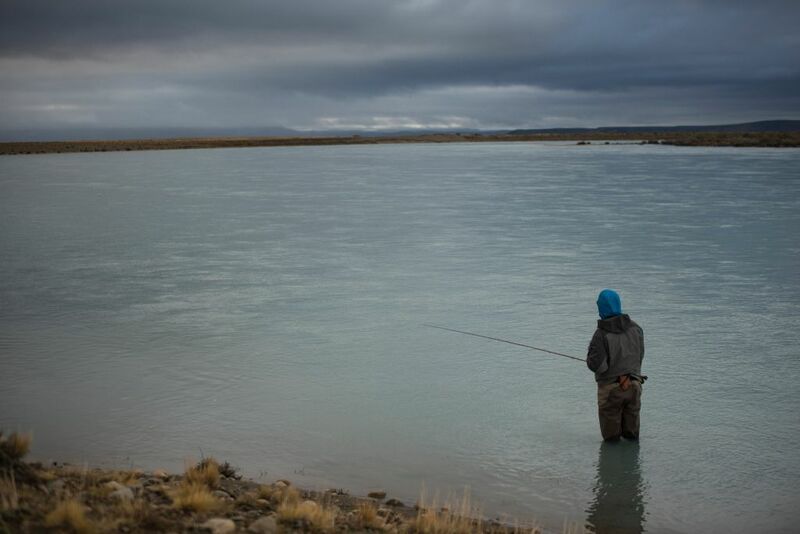 5 and 6 day programs available. 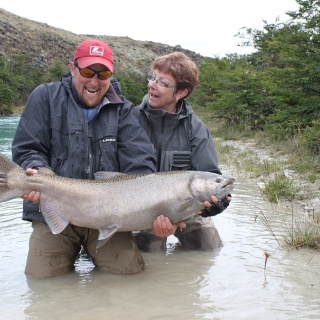 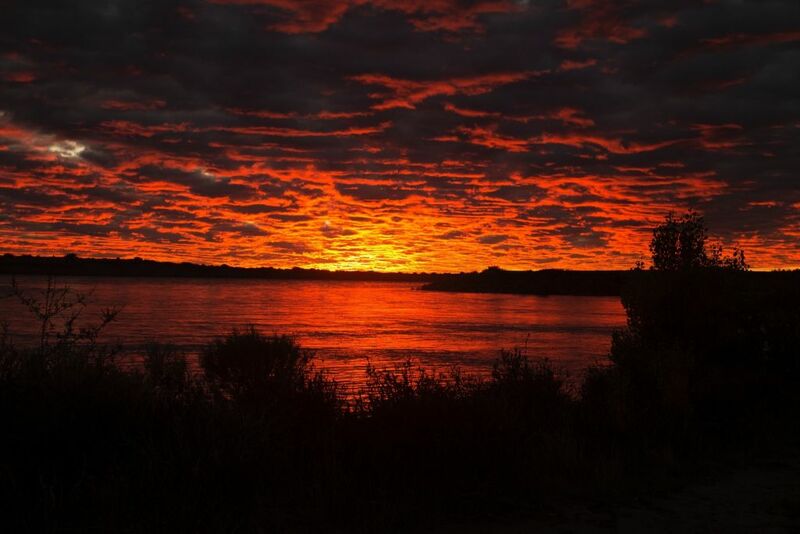 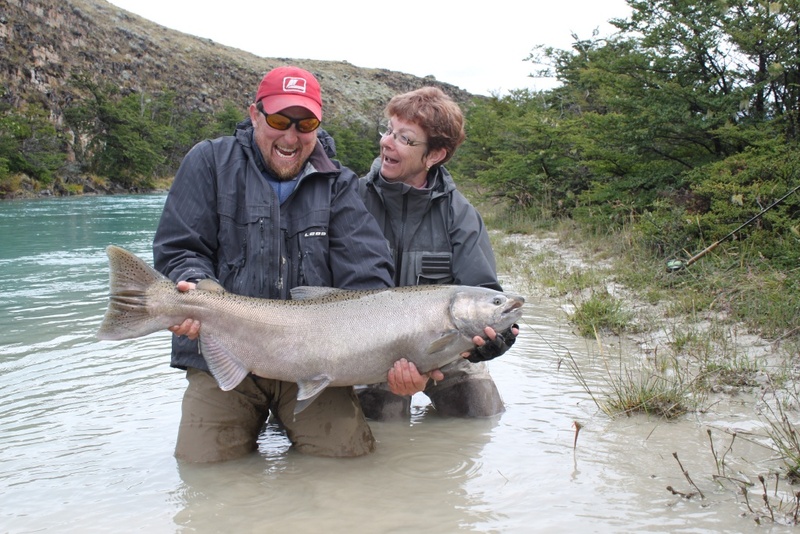 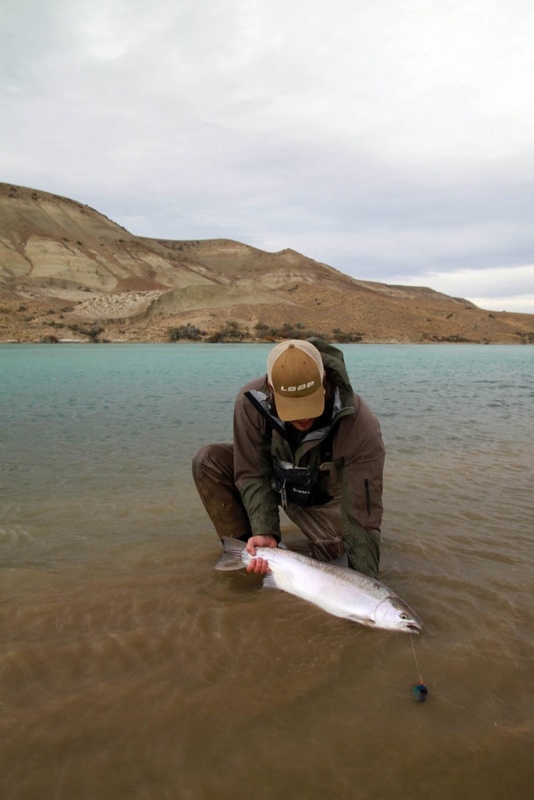 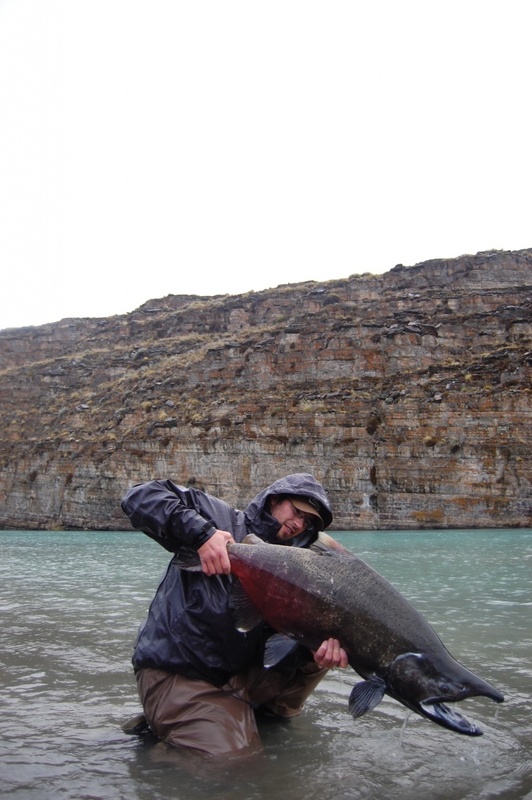 Get the feeling of the authentic Estancias from South Patagonia and fish their pristine waters with us! 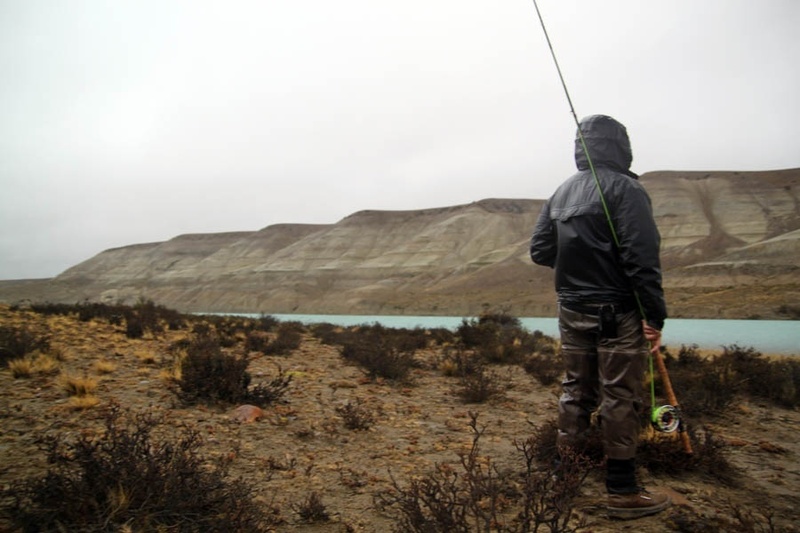 (ESP) Un programa obligado para los amantes de la pesca de truchas. 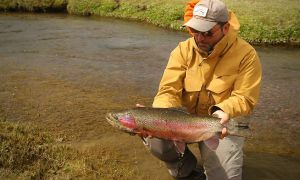 La Ruta de los Spring Creeks los lleva por 4 diferentes Estancias y a traves de sus maravillosos arroyos en busca de grandes marrones y fontinalis. 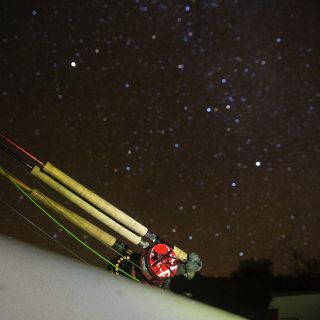 Programas de 5 y 6 días disponibles. 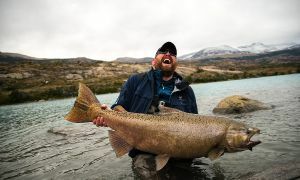 Esperimenta este programa, sus autencitacas Estancias y y pesca sus maravillosos ríos con nosotros!